SAMIL is the first-of-its kind enterprise for the business of pre-owned commercial vehicles, infrastructure and agricultural equipments in an organized and lucid way. 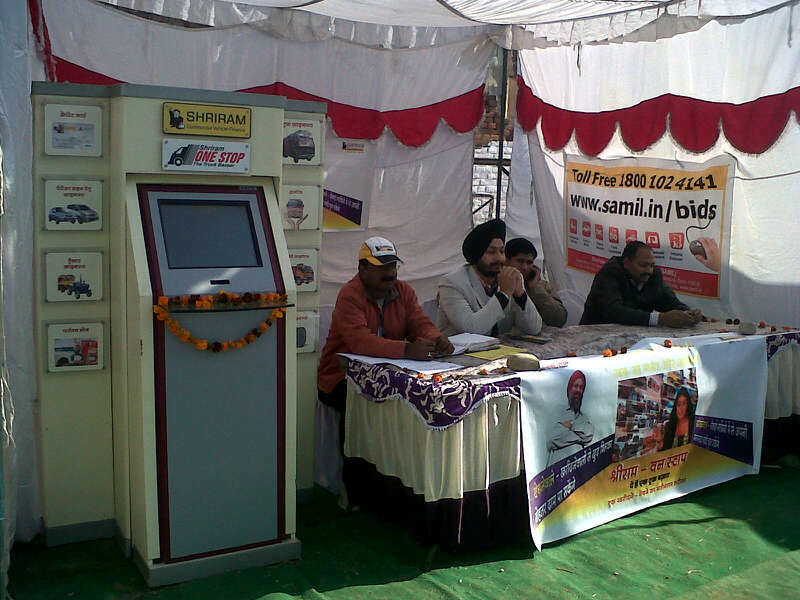 Reaching the rural, semi-urban and urban population of the country by leaps and bounds, today, SAMIL launched its 12th Automall at Jammu, with a grand bidding event. Mr. Umesh G. Revankar, Managing Director, STFC, inaugurated the Automall in Jammu today. “Automall, the first of its kind model in Jammu, will provide a major boost to the trade of commercial vehicles and industrial/agricultural equipments. Backing the government’s decision to prioritize infrastructural development of the nation as per 12th Five Year Plan, this initiative will provide ample support to the growing needs of transportation and infrastructure industries.” said Mr. Umesh .G. Revankar, Managing Director, Shriram Transport Finance Company Limited, at the launch. Shriram Automall aims to put an end to the undependable and conventional practices prevalent in commercial vehicle transactions by organizing structured vehicle-trading mechanism. Apart from vehicle transactions, the Automall helps customers seek financing and insurance options as well and provides refurbishment solutions for vehicles. Further, the Automall also provides rest rooms for travel-fatigued truck drivers/cleaners and parking services. The Automall in Jammu also houses two new initiatives that provide value-added services to vehicle owners such as ‘Shriram One Stop’ and ‘Shriram New Look’. 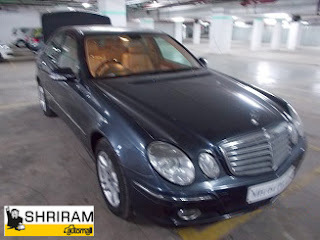 ‘Shriram One Stop’ is a computerized touch screen classified kiosk providing real time information about used commercial vehicles available for sale, while ‘Shriram New Look’ offers a platform for transaction of authentic vehicles. Old and worn out vehicles from the market are refurbished and sold under this brand name. 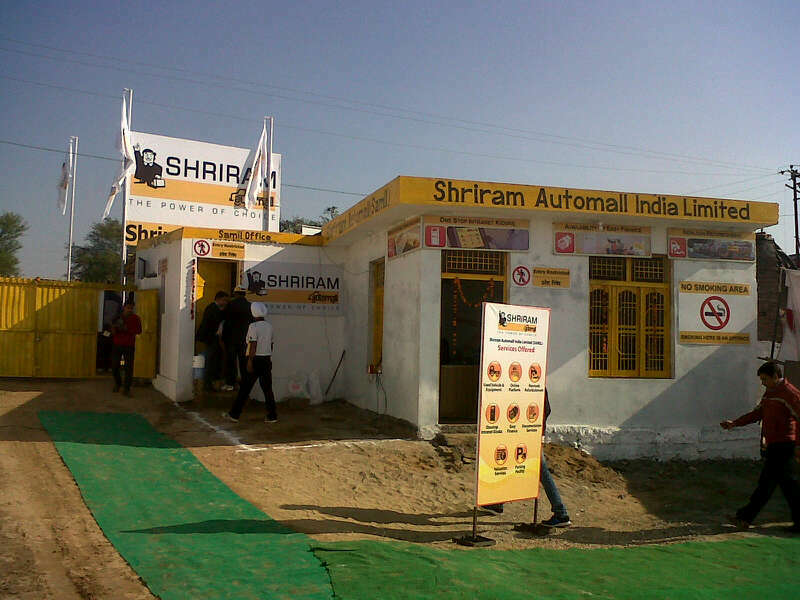 Shriram Automall is the first-of-its kind initiative for the trading of pre-owned commercial vehicles, infrastructure and agricultural equipment in an organised and transparent manner. Mr. Vinod Dasari, Managing Director, Ashok Leyland, inaugurated the Automall in Hyderabad today. Spread across 15 acres of land, Shriram Automall aims to put an end to the unreliable and old practices prevalent in commercial vehicle transactions by cultivating organized vehicle-trading mechanism. Apart from vehicle transactions, the Automall helps customers seek financing and insurance options as well as provides refurbishment solutions for vehicles. As add-on facilities, the Automall also provides rest rooms for travel-fatigued truck drivers/cleaners and parking services. The company plans to expand its PAN India network to 60 key cities by 2013. Such Automalls, equipped with secured stockyards, will be strategically located on important highways of the country, spreading across up to 20 acres of land. 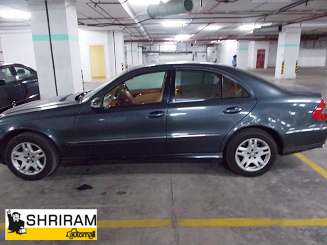 Shriram Automall facilitates trading of pre-owned commercial vehicles, infrastructure and agricultural equipment in an organized and transparent manner. Through this platform individuals can opt to trade pre owned equipments in a hassle free manner and to enable customers benefit from this facility, there are two new value added services which are available. 'Shriram One Stop' will provide customers with up-to-date information of vehicles at the facility while 'Shriram New Look' offers individuals the benefit of purchasing of refurbished pre owned trucks and equipments under this brand name 'SAMIL'. Be a part of this Grand Event where plenty of vehicles & equipments will be on display. 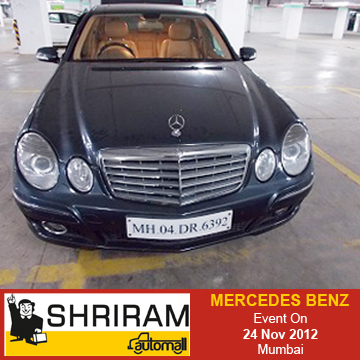 Spread across 15 acres, this is the 11th Automall in the country. Buying a used car isn't as difficult as it used to be earlier, but the same cannot be said about commercial vehicles. Though there's neither a shortage of dealers nor a problem in availability of pre-owned vehicles, people are still apprehensive when investing in used commercial vehicle, mainly because of the lack of trust. 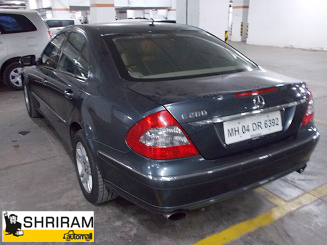 To take care of all that, Shriram Transport Finance Company launched Automall. After establishing 10 such Automalls in difference parts of the country, they have finally set up one in Hyderabad. Spread across 15 acres, this Automall not only helps customers buy pre-owned commercial vehicles and agricultural equipment, finance and insurance is too taken care of here. Also at the Automall Hyderabad, two new service Shriram One Stop and Shriram New Look are introduced. 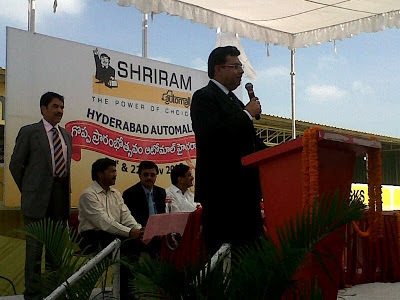 Shriram One Stop is a touch screen computer based database, which gives information about the various used commercial vehicles on sale, while Shriram New Look is where refurbished trucks can be bought. 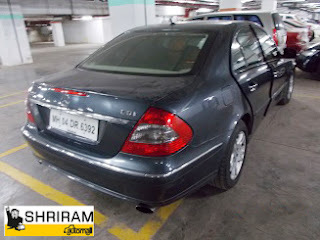 And thats not all, tired drivers and cleaners can avail the parking services available at Automall too. The brand plans to expand their network to 60 major cities in 2013. This should bring relief to a lot of fleet owners and small businessmen who haven't yet explored the benefits of pre-owned vehicle market. Mercedes Benz E-280 Car up For Trade! 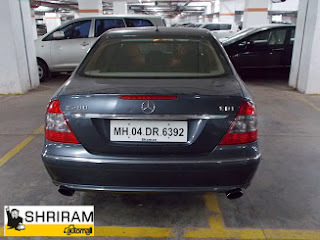 (Diesel) in Tenorite grey colour and mileage/km of 65716. 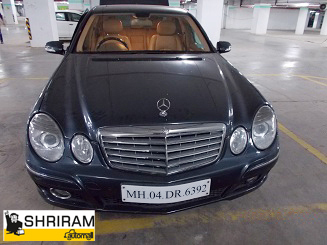 Discover a whole new experience of driving this splendid vehicle. 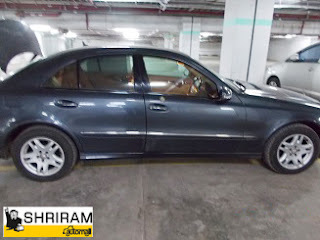 The company’s Automall is a first-of-its-kind mall that offers a common meeting platform for potential customers where the valuation of the vehicle is determined through a transparent process. 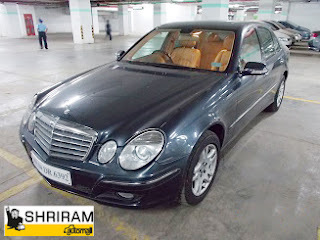 To date, more than 1,200 events have been conducted and over 45,000 vehicles have changed hands with over 35,000 bidders. Along with the physical trading process, the company also conducts an online process at www.samil.in/bids.